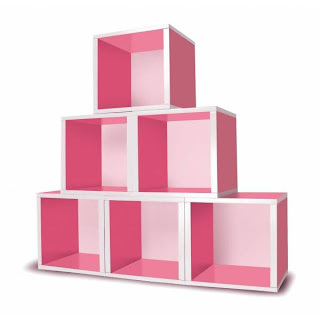 We introduced a line of paper based furniture in 2008 and it has quickly become the most popular, simplest, most ingenious storage furniture ever. Made from environmentally sound building blocks we call zBoards® - we use recycled paper rather than chopping down new trees to create our furniture. zBoards are made from 99% post consumer recycled paper, which allows our products to be lighter than particle board, yet provide superior strength and durability. The remaining 1% is devoted to the paper veneer which provides the vibrant finish on our boards. When you use zBoards, you’re not only protecting the environment, but also your healthy since you won’t be affected by formaldehyde or VOC (volatile organic compounds) off-gassing commonly found in other furniture products. No tools, No rules, No kidding! When you open your Way Basics package, you won’t find a mysterious bag full of screws and directions written in seven different languages. There is literally one page of instructions illustrated in plain English. Assembled with industrial strength 3M adhesive, assembly is literally as easy as peel, stick, done! Strong? Well, some aircraft use tape on the wings because vibration loosens screws, so if it’s strong enough for planes, it’s strong enough for furniture. Lately we have been rearranging my house and trying to organize thing's in a way that will allow us to be more productive and feel less stifled by clutter and excess (B is starting school this year and I want organization in our home). I have purged a mass of toys, painted, and now am working on organizing like a pro. Cleanliness and organization makes me feel complete joy ( really the way most women feel about jewelry and clothes is how I feel about cleaning and organization)! When it came to the princesses room, we shampooed the rug, painted it a glorious shade of pink , and added some new storage to the room. We were so excited to try the Way Basics cube ( pictured above), it matched her room perfectly, and created new storage space (getting the toys off the floor and into a new home of their own)! The cube was incredibly easy to assemble and once together is sturdy and ready to organize your space! We used a bin within the cube to hold her dolls....she loves the way it looks and so do I! Function and style...and it's "green"! What more could you ask for? !